The first year is just a set of the days but one of the most important in life. A person just starts to develop himself/herself, with the help of the parents and a surrounding. He/she either makes a huge step forward or has to wait a bit to develop the personality further; no matter what is going on during the first year, actually, as we are too young to have even a tiny impact on what is happening. However, the first physical steps, the first words, awkward actions, etc. are significant too. Especially for those, who love their little children, who make everything for them to grow healthy and strong, and try to help them to start their journey properly and happily. There will be never such a period in a life, so everyone should finish it in a joyful way – in other words, to celebrate the first year birthday with positive emotions. If you are invited to a first child’s celebration and should present something interesting to a baby (or to the parents, as a baby does not need a blender for fruits but still needs some fresh juices), then you came to the right place to find some help. You should remember that at this age, a little genius begins to investigate everything and makes it thoroughly, so a gift can be either useful, or interesting, or pretty. On this page, you will find gifts that are the examples of all that trinity. Discover them all below! These stories have already become classic. Several generations have been growing reading these books about an ordinary boy with a unique destiny, full of love, friendship, adventures and endless dangers and pitfalls. Some people still want to be a part of that magic world; however, J. K. Rowling implied that there is magic everywhere in life. Children should know and remember this since birth – so the parents can read the journeys of Potter aloud, for the babies to start living with a nice attitude to life. What can be a better gift than a perfect fairytale that educates, cheers up, and makes laugh and cry? Nothing. Additionally, the new books were redesigned, and have lost their charm. 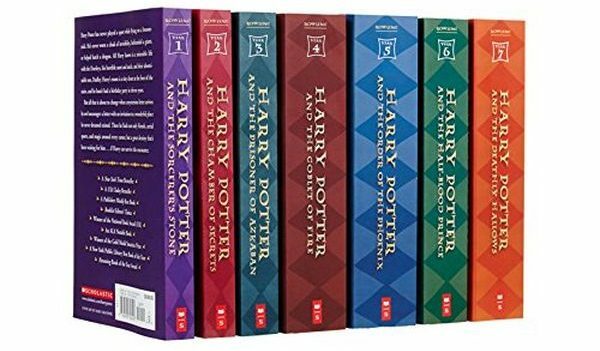 This set represents the old look of the famous stories and is as pretty, as it was years ago, when the first book was published. An amazing story for a developing mind. 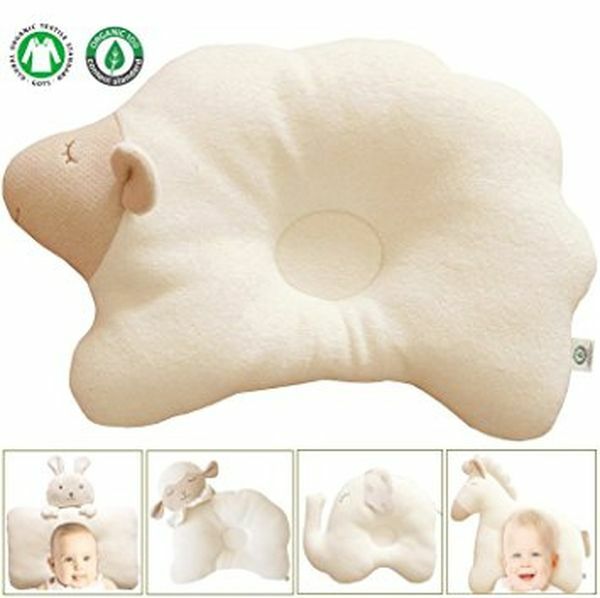 Someone even does not know what such pillows are for, though such things are of a high importance, as they prevent a child from the flat head syndrome. The first years of life must pass with the maximum of comfort, so there is a need in high quality special materials and items. To help parents with this task, you can present a good protective pillow to their child. This soft thing is made of the high quality materials, that are fully natural and hypoallergenic. And… It is just one of the cutest things in the world, calming, making smile an encouraging to touch this plush surface. Just imagine how cool it will be for a little child, to feel all this! There is nothing more important for a baby than to explore and… To play. This category is dedicated to all the children that are kin on constructing something and develop their motor skills by this way. Hand and eye coordination, auditory sensory development, bright colors, visual sensory development, sturdy and easy to grab materials… We only wonder, why there were no such things in our childhood? We are sure that a lot of children and parents will be grateful for such a fantastic gift for the first birthday! Good swaddling blankets allow the parents to keep their child far from different irritations and other skin problems. They will allow the young parents sleep calmly, as their baby will see the best possible dreams in the most comfort way. SwaddleMe is one of the most trusted brands on Amazon. Babies really sleep well it their swaddles – buying one of their products, you can be sure that your gift is the example of quality and coziness, and your close people-parents will appreciate such an attentive gesture. People usually buy the whole percussion kit for the preschool boys and girls but it is still a good single instrument. It is perfect for the kid’s hands, makes a really neat sound, engages a child fully in the musical process, and just fun for the whole family! A top gift for the first birthday and the future ones! Musical instruments are included to the list of the best gifts for any birthday. However, the first birthdays are the special celebrations, so there is a need in something unique, simple, and educating. We supposed that a xylophone can be a cool variant for such an important event. A growing baby has less physical abilities than a toddler – fortunately, the Fisher-Price company has noticed that and has created a classic xylophone for any age! 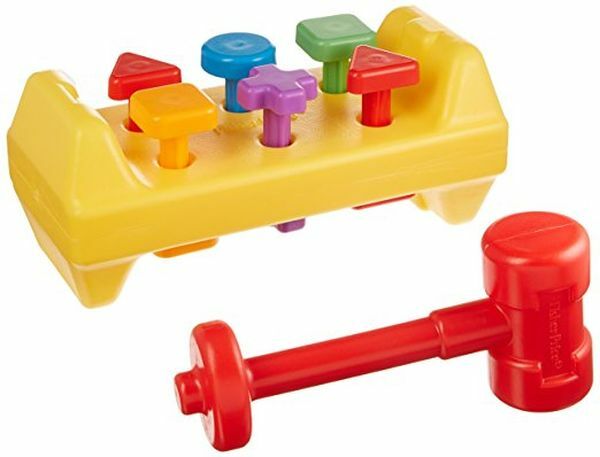 They say that “grasping the mallet and tapping the keys help tune up eye-hand coordination and fine motor skills”, and it sounds perfect. Present this item to a little Mozart and see him or her creating the first masterpieces! Shaking is one of the first moves that we make in life. 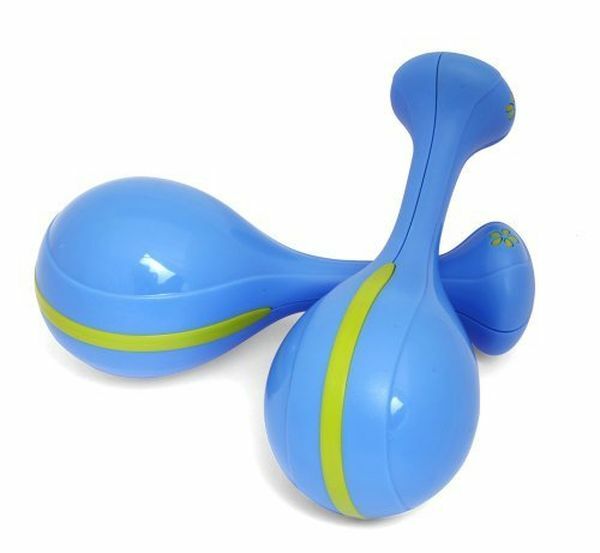 A pair of pretty designed maracas that are designed especially for the babies, can help our little children develop their motor skills with fun! Children eagerly learn from playing different instruments and games. Present a possibility to develop the intellectual and physical skills with a fantastic toy that demands only hammering and pounding – the most loved actions for a baby of one-year-old! Hammer it away! The workbench features a hammer and the bright pegs that tempt to bang them immediately! A child will be able to play this even after getting older, what means that the fun can be endless! 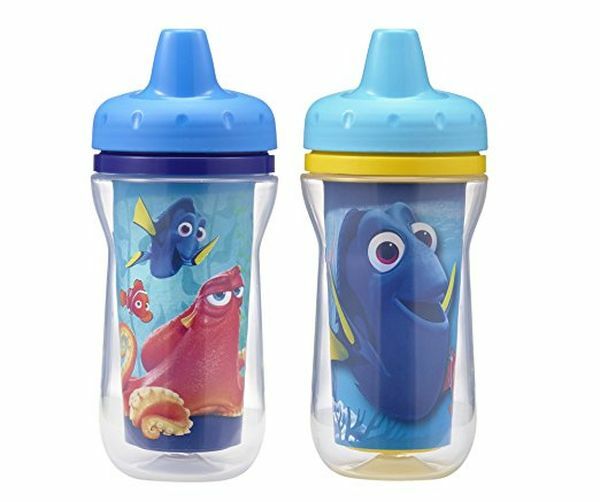 Stack up cups are the first toys for the children, as they are the best to familiarize a baby with grasping, matching colors and sizes, etc. You can choose from the other toys but it is the game set that is really needed in any house where the kid is. If you do not know what to start with – start with classic! 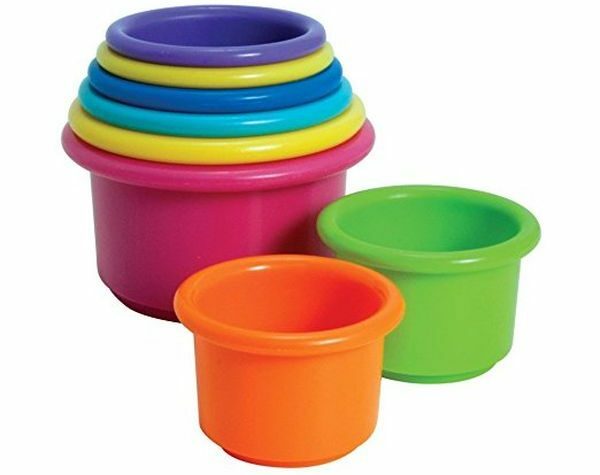 These cups are popular for plenty of reasons: the perfectness for the early education, simplicity and fun combination, affordable price, etc. All the elements of this pack is lightweight and stackable and can be grabbed and put away easily – the baby will be playing this with the huge interest and comfort! 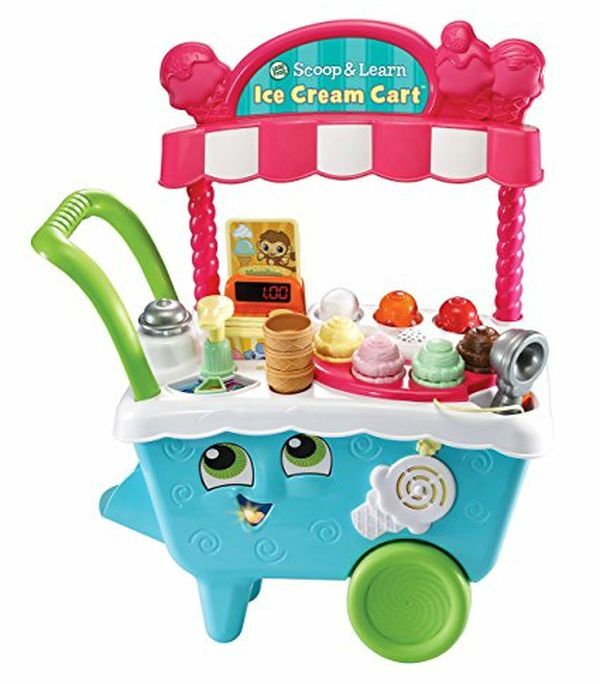 The stacking and sorting toys are the wonderful gifts for the first birthdays. They will be played anyways – even if a kid already has a lot of similar items, this number is never enough for an obnoxious baby with the endless energy resources. You will be certainly pleased with the quality and price, and the kid will be also – well, he or she will play with this toy, and it will show the true attitude. Children are the most honest persons in the world, and the customers of Grimm company prove that their children are happy with their products, that are all of vibrant colors, of high quality materials, and of a thoughtful design. Such cups have saved a lot of towels, clothes, and mother’s nerves. However, the wide range of these items only makes the choice more difficult. We decided to help you a bit and to offer a perfect cup for a first year that can be a wonderful gift for a birthday! This cup consists of the two parts – so easy to clean and does not leak at all. The parents and the baby would become the fans of this cup! 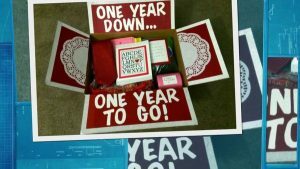 They would, if you buy this Disney inspired thing for them! A lot of the parents know about such an invention as a bottle warmer. However, if your close people, who invited you to their child’s first birthday, have not heard about this thing – think no more, this is the right gift option for you! Imagine that a baby wants a bottle in the middle of the night and wants it immediately. A cold bottle will not make him or her pleased – or even worse, will make a kid cry and yell, awaking all the family members. Let your friends or relatives sleep well and present this fast working customizable bottle warmer. Can be used from birth! Some people adore the bathing procedures, some – not. Babies cannot express their opinion during the “silent first-year period” but they still need a good cleansing. 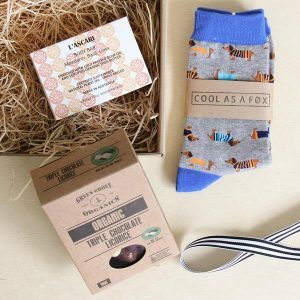 To make this less stressful, the smart individuals have created the tubs – one of them can be a stunning gift for a family in need of such a thing. This tub for the newborns has deeply ergonomic design and allows to hold a baby properly. It can be used both, since birth and for several years later, as it provides security in any position of a kid (sitting or lying). There is no wonder, why moms love this so much! The new parents cannot remind a calm and pretty Sleeping Beauty – they do not sleep at all! Especially if they are working and there are no grannies to help them to have at least several hours of the relaxing dreams. Happily, there are devices that help anyone – a sleep therapy machine is included to the list of such ingenious things. It can play all night. You are surprised? 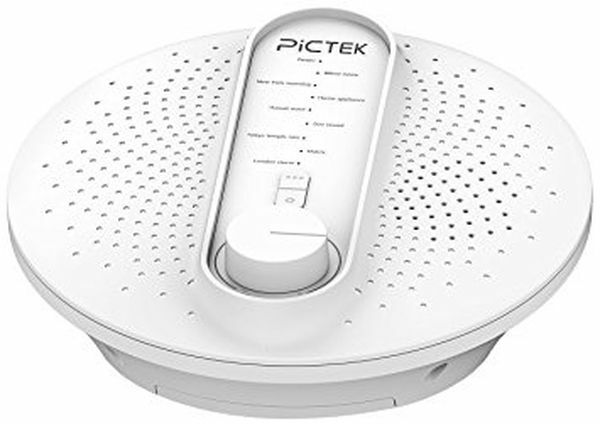 It is now possible with the new technologies, provided by the guys from Pictek! Natural sounds – such as White noise, New York morning, home application, Hawaii Waves, Zoo Sound, Tokyo Temple Rain, Matrix, London Storm – wait for the parents and a child. What a cool thing… Must order several, for our workers. Almost all the generations have played with wood – this is the most popular, wide-spread, and sturdy material for the children toys. Moreover, it is safe and natural, and it is of high importance, especially if we talk about a one-year-old baby. The wooden toys are now quite rare things, so you can be pretty sure that the birthday boy or girl has no similar toys and will be happy to get one! Or a lot. 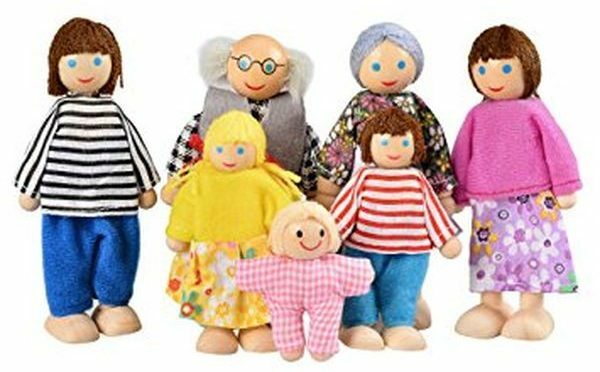 This toy set contains seven small dolls that are easy to grasp. Parents, grandparents, son, daughter and a baby will become the persistent guests in the baby’s room. Additionally, they can be a wonderful decorative element to the area, creating the friendly and cozy atmosphere. Durable, child-safe finish, nontoxic. Fantastic. We are sure that all the parents have such a kit – but not a professional one, in majority. 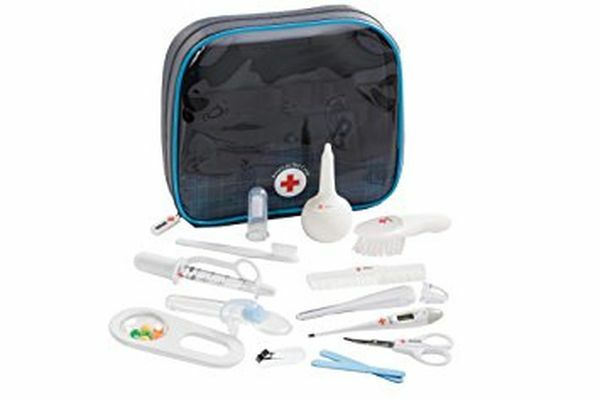 The medical kit that we are going to offer you contains anything that can be needed to help a baby grow healthy and groomed. Check it below! This is the ultimate bag of things that are needed in any house with a little kid, who is unable to do a lot of actions as clip the nails or brush the teeth. 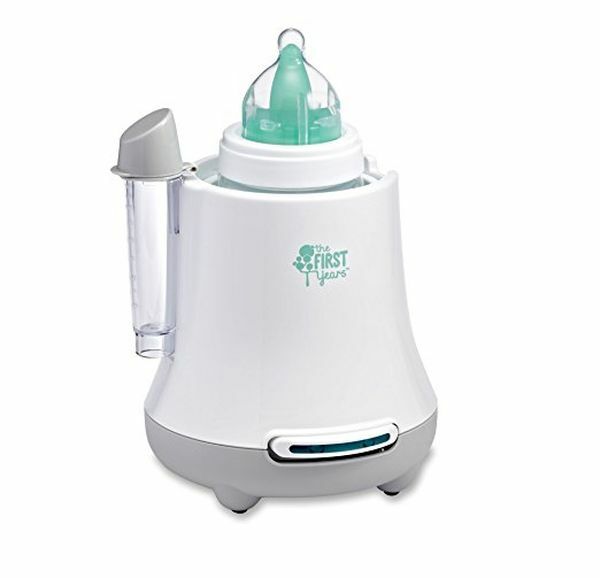 This very kit eases all the processes that are connected with the baby care and makes it skillfully and properly. Make every task with confidence! It is so pleasing, to sing something nice to lull a child… However, there are cases when the parents cannot make this for their baby (a cold, an exhaustion, a… something other). A lullaby machine can save any similar situation and allow the parents have a rest and a kid – have a nice song! 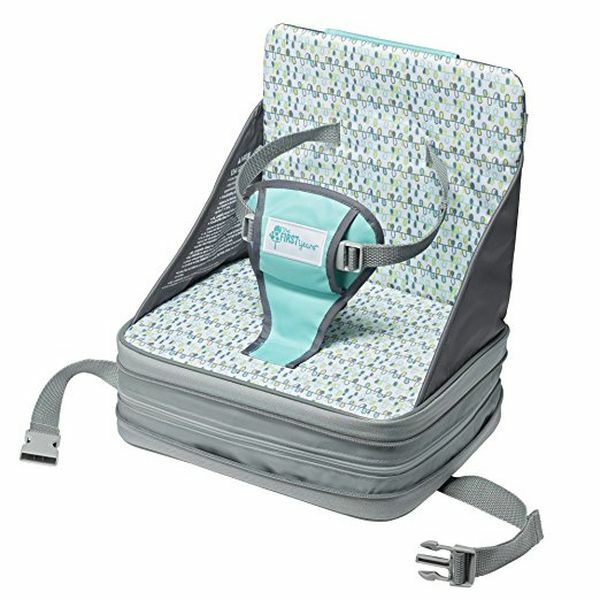 A booster seat is a perfect thing to take a baby with parents for some events or just for a walk to the nearest park – if this park is quite far away and the parents have to drive there. Some parents, unfortunately, cannot afford a proper on-the-go seat, if any. If you have the desire to really help such people – make a gift to them and to their child and buy the item below. The first years of life should pass with the proper comfort! The parents are magicians but they still need the energy to spell the magic. A cool booster seat can save the energy of a mom, allowing her be smiling and strong for all day long, as this very seat can appear and disappear in a moment and easily! It is definitely one of the best gifts for a child of one-year-old! And the mother. Memories are too important to be lost. Some people so not care about their memories properly and they disappear. We do not want such a fate for your close people and their babies! 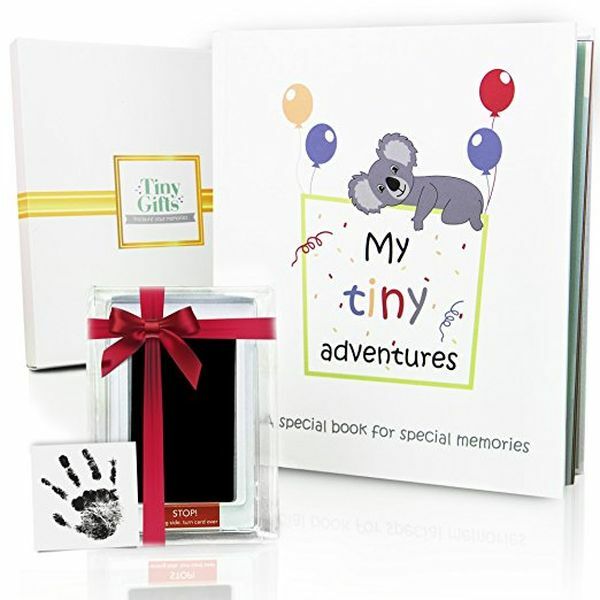 Choose a pretty and durable memory book for them to keep their thoughts and moments in safe! This book is of a great quality. You will like that it comes packaged in a nice box to be given as a gift. The book is very comprehensive unlike the other similar products. It goes with an ink pad for hand and foot prints – and it is awesome! One of the first gifts to get to a dearest person. If you do not want the whole kit of a memorable book and the pad for hand and foot prints – you can buy only the latter. We advise you to consider the frame below and hope that you will love it the same as we did! It is really large! Twelve small pictures for each month to remember plus one section for a print of a baby’s hand of foot! Additionally, it is fully equipped with a double sided tape, clay, and a rolling pin. You name it – it is in the package. The first years of a child go fast. 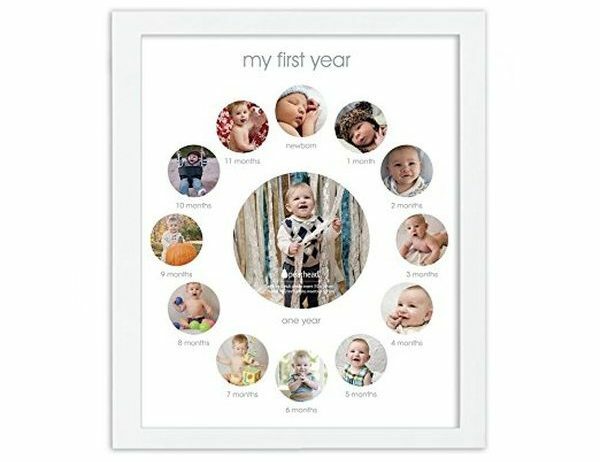 The parents should make sure to capture all the important moments and pin them on a wall! A beautiful frame can deal with this task perfectly. Discover the frame that we have chosen for you. This white widen frame is a unique and elegant gift. It will serve as a frame for the memories and a fabulous decorative element simultaneously! It is great for the first birthday, baby showers, and other events. 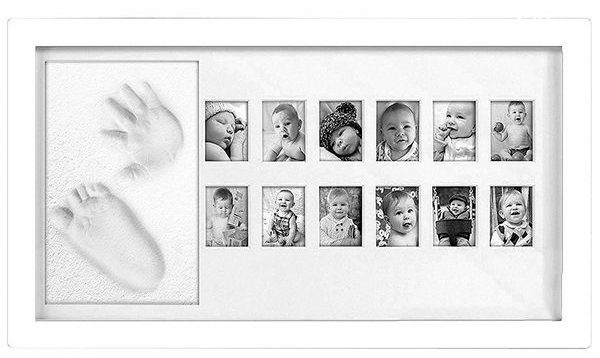 Presenting this item, you can be certain that the parents of a child will have fun adding the baby’s pictures in this frame! Again, we touch the importance of the bathing procedures. We have already seen a tub that eases and makes a bath less stressful and more comfortable. However, you should think over the proper direct care – the substances that “touch” the child’s skin. A bath set that contains only natural elements is the only one right variant for a little human. 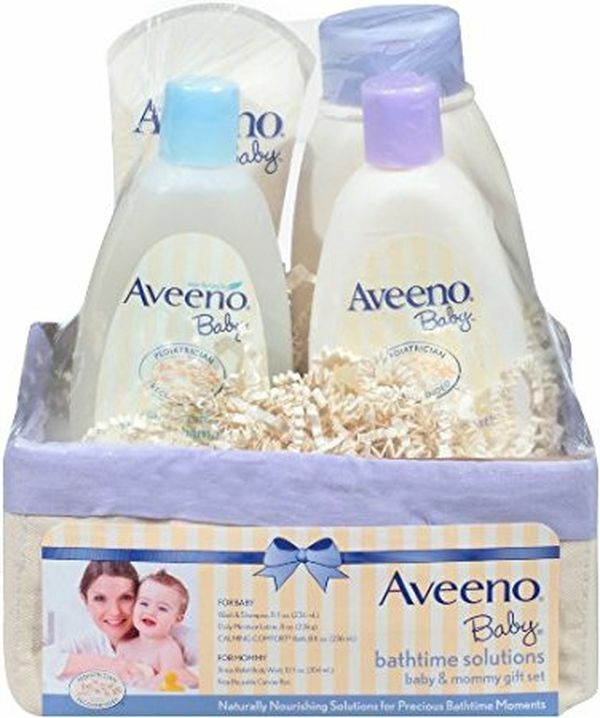 Aveeno is a great alternative to the Johnson’s Baby products that turned to be all synthetic. The natural components will keep the skin pampered, healthy, and free from red pimples, so even a delicate skin will be treated by this set perfectly – proved and recommended by pediatricians. One can say that using the regular towels is fine and enough. Believe us, this person did not use a hooded towel before! Or used a bad one, actually. We offer you to check one towel from a trusted brand that is famous with the quality and perfect customers’ reviews. 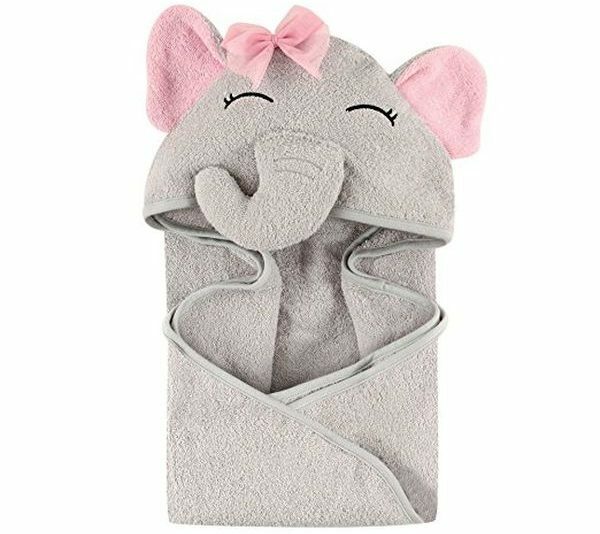 A little girl will be totally happy with this cute towel! 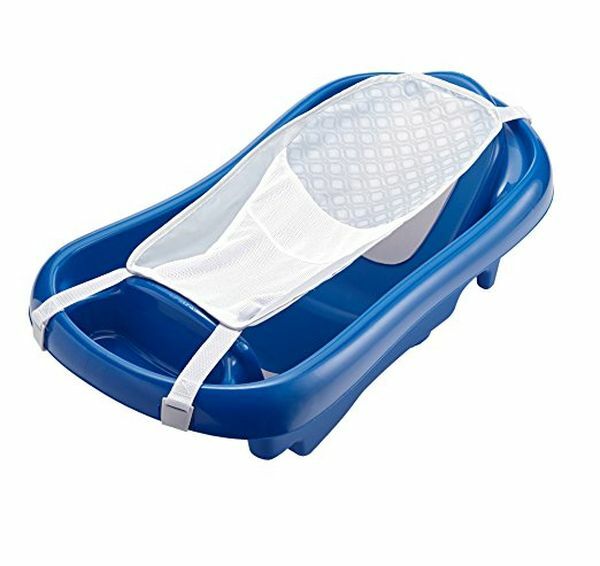 Just look at this kid’s friendly design and the soft material… The customers say that it dries immediately, so even this will not take the time, if a petite lady will want to take a bath again (or will get totally dirty, playing at the backyard). 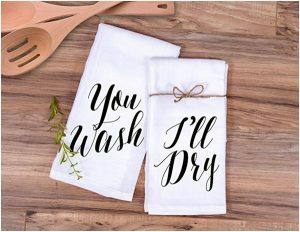 In general, any parents will need a thick, large, and extremely well made towel, so it will be definitely a perfect present for the first birthday. Do you remember your old good days of the childhood that were filled with the tea ceremonies? If you are a woman – you certainly do, as it is the first thing that the ladies learn! It is so an engaging playing that develops the artistic skills and can involve all the family members into this. A pretty tea set will be an amazing gift for a little girl! The tea set has a teapot, a sugar bowl, a milk pitcher, 2 tea cups, 2 saucers, 2 tea spoons, 2 tea bags and 2 pieces of sugar. Looks just like the real tea set for the adults! Uncompromising quality plus a thoughtful design – and voila! We get a stunning present for a lady. Toys are the best ways to keep a baby engaged into an educative process. The three toys below will make a little boy or girl laugh from happiness and immediately start making something fun with them! 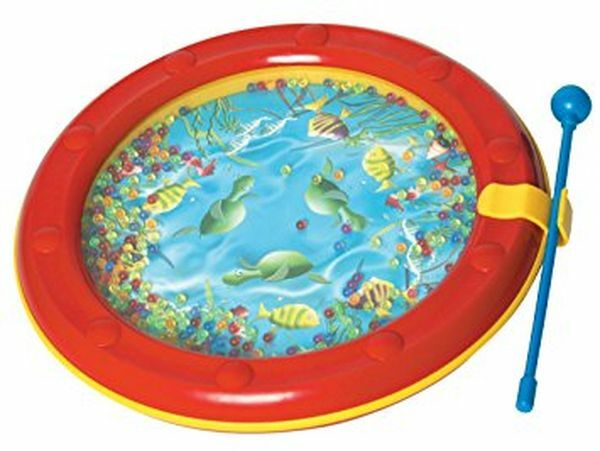 The first one is one of the most engaging and entertaining from all the toys variety on Amazon. Our century is famous with the inventions. Keep calm – the creative minds took care of the children too and created a lot of the novelty toys. We would like to introduce one of the most interesting, due to our opinion. Howe that you will decide to set your sights on this! 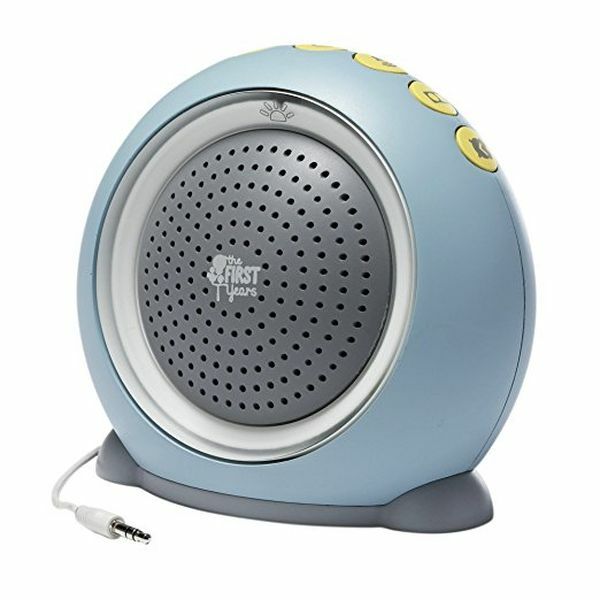 The Learning Carrier has a lot of the pet accessories, plays music (100+ songs), and phrases. This would be the gift for the future, as the one-year-old kid cannot care about someone – he/she needs the proper care for himself/herself. However, who knows: the modern children are so intelligent and intellectually advanced than we were, so… Such a novelty toy can come in handy and will teach a baby how important it is – to take care of someone, and here this someone is cute as Heaven! A baby rattle is still a classic toy. Someone says that this thing lulls babies; someone says that not. We are still think that children need several rattles – just to make sure that a house is full of sounds and action! 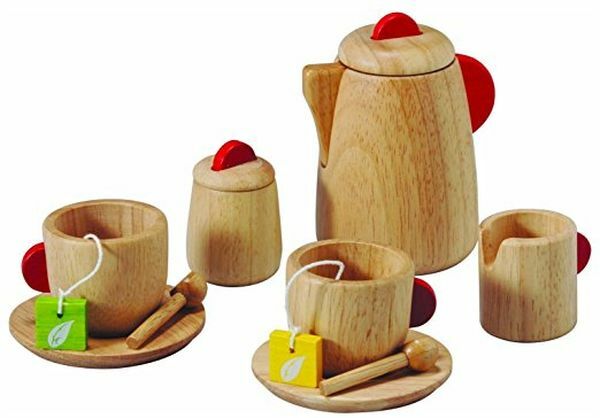 Wooden toys are ones of the most trusted – they are sturdy, smell perfect, and are non-allergic. This very rattle is Montessori styled, totally organic, minimalistic, sanded, and sealed with coconut oil – for a child’s complete safety. It makes great interacting sounds, that will be produced even by the little shaking. A wonderful handmade gift from the one, who really cares.